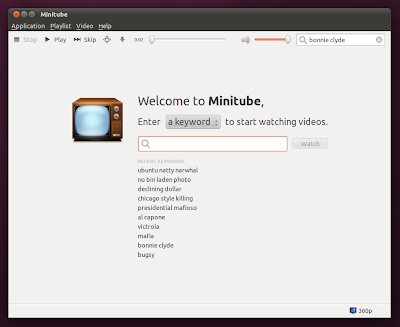 Minitube is a Youtube desktop application. Minitube tries to break free of the typical Youtube user experience, by having you search videos with a keyword and streaming an endless amount of related videos, as if you are watching TV. Minitube is light on CPU use because it does not use Adobe Flash. You can play HD videos up to 1080i and even go full screen. Minitube makes it incredibly easy to download your favorite videos too. You can find Minitube in the Ubuntu Software Center. This will update you to the newest version and always keep you updated. Major League Soccer Video Works!